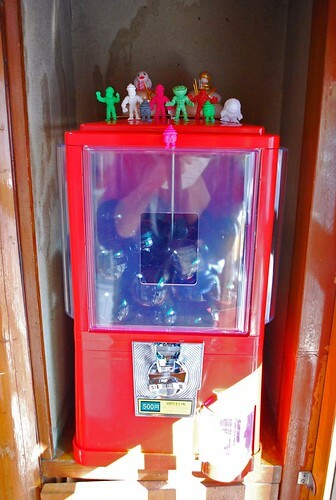 Just a few more select items to go, and the RAMPAGE BIG CARTEL will be all stocked up! Horray - that's almost done! 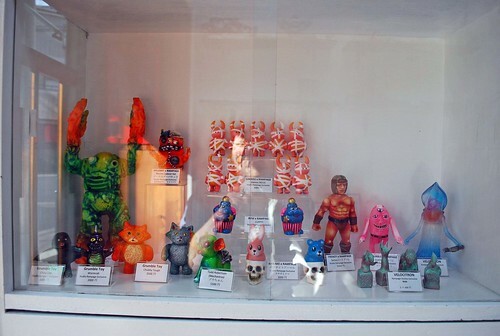 In stock are new items from me (RAMPAGE TOYS), Grumble Toy, Kikkake, Uamou, Blurble, Velocitron, Trutek, Eric Nilla, hellopike, Peter Kato, and Art Junkie. Best of luck to all the Splurrt fans out there! 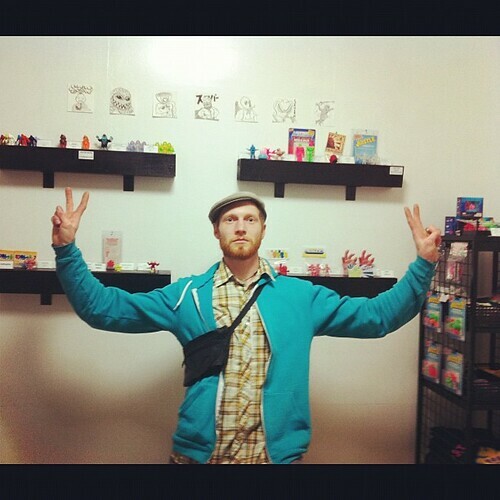 The Opening Party at RAMPAGE STUDIOS was lots of fun! Thanks to all those who came out! 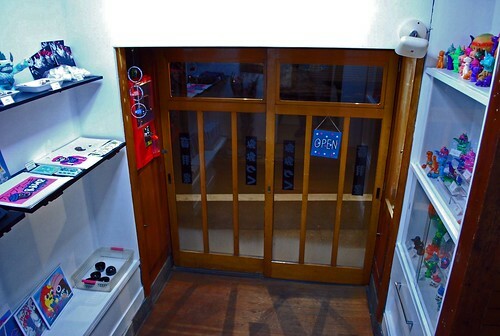 Lots more over on Flickr!!!! 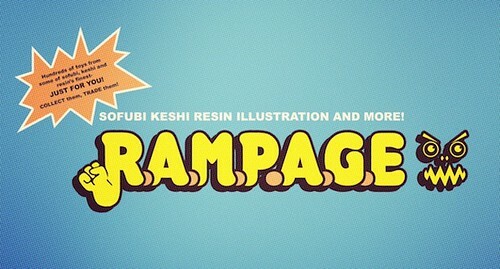 It's been a wild and crazy couple of weeks - leading up to THIS FRIDAY'S opening here at RAMPAGE STUDIOS! 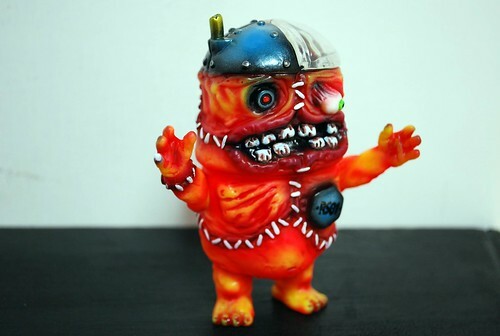 -TRU:TEK and the Disarticulators Debut of Kesh-e-Face, The Tiny Terrors from the deep and Higekami (Master of Beard Fu). 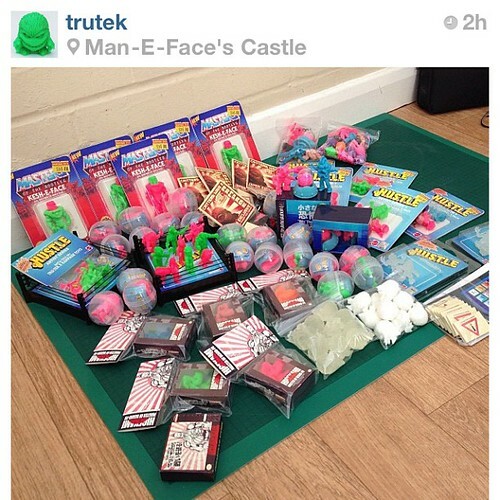 -TR:TEK has provided the DEBUT release of his H.U.S.T.L.E. artist series! 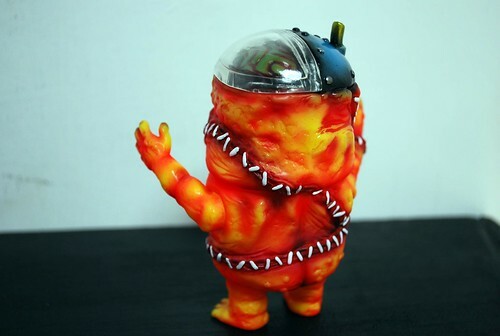 -Nama Niku reveals his NNWA figure - Awesome! -Eric Nilla has gone all out with loads of MUSCLES of the Universe figures, and his original Sitting Adam and SD Rick figures. 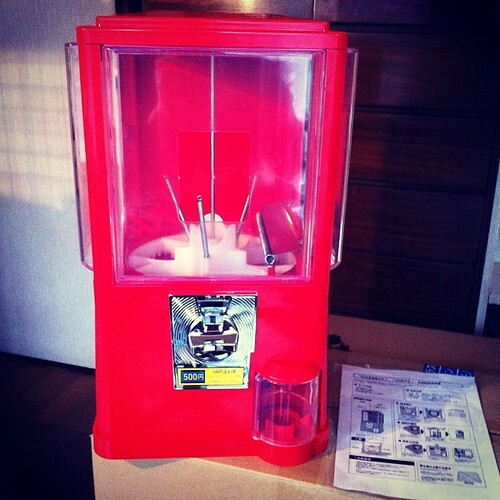 -The RAMPAGE STUDIOS Gachapon Machine will be up and running - stocked with rubber figures from RAMPAGE TOYS and Nama Nikku. The list is growing, but for now the above listed makers have either already mailed me stuff, or their stuff will be in the shop at the time of the opening on the 25th. LAST, BUT NOT LEAST: New Dinosaurs and New Ugly Unicorns are on the way! Things have been a bit nutty, so releases have been slow in the new year - but the regular release schedule will pick up again soon! Lots of great collaborations are on their way as well, so get psyched! Also, sculpts are started for some new sofubi! YAY! 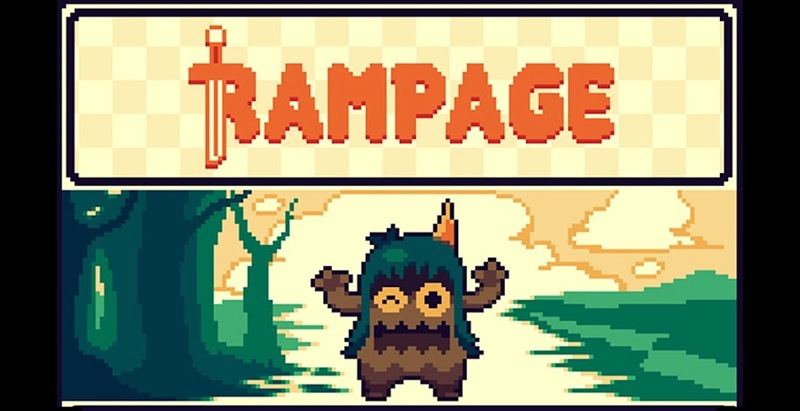 RAMPAGE STUDIOS TOKYO - coming soon! 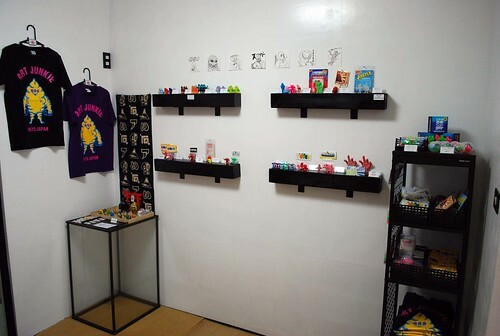 RAMPAGE is getting a STOREFRONT - in TOKYO! 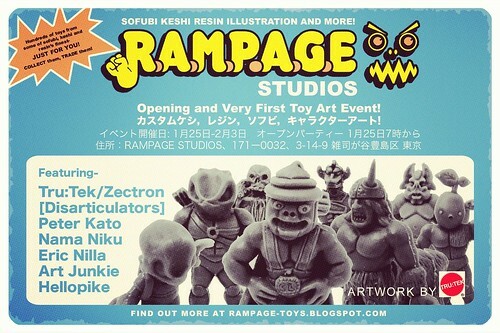 RAMPAGE STUDIOS will open on January 25th - right here in central Tokyo - with an opening show/party featuring work from some of the best resin and rubber mini-figure makers around! More info will be up in a following post, but here's the BEE's KNEES event flyer (By the MAN, Trutek) to get the excitement going!